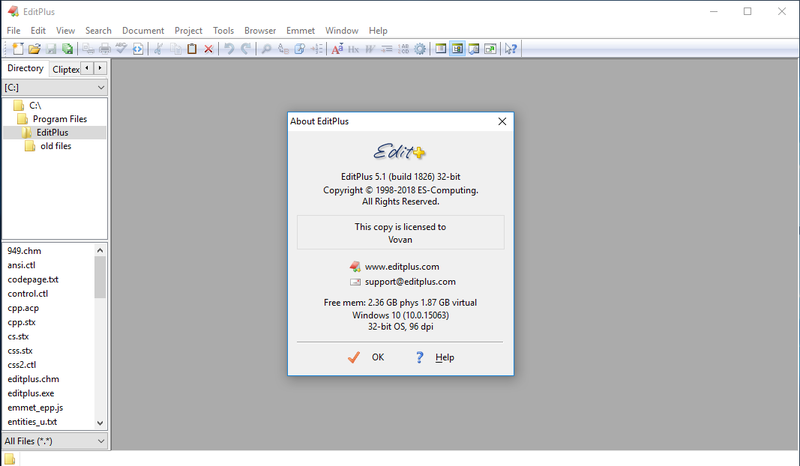 ES-Computing EditPlus is a full-featured text editor that can also play the role of an advanced HTML editor. 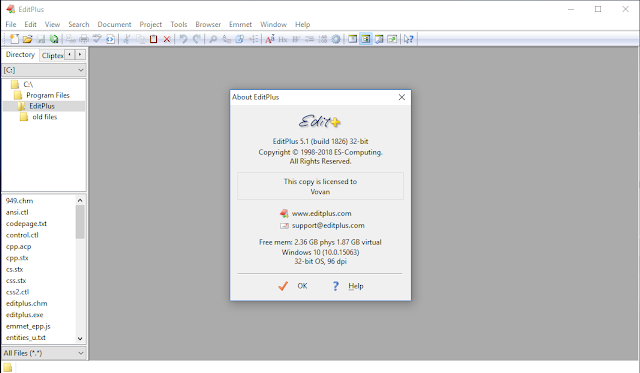 EditPlus is able not only to replace Notepad, but it can also assist designers and programmers in their new projects. The interface might trick you into believing that you're actually dealing with a much more advanced tool, but the whole look was made to assist you while taking advantage of its great features. The main window includes a file browser to help you open text documents on the fly, while the document content is displayed on the right side. It also has some stats usually found in text editors and they include the current line and column. Leaving the basic text editing tools aside, it comes with URL highlighting, syntax, word and brace highlighting, as well as with a fully customizable user interface, just to be sure it will perfectly fit your needs. 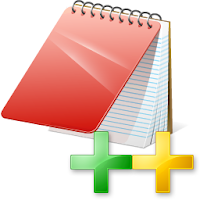 In addition, it boasts auto completion, word wrap, file encoding, a clipboard monitor, as well as a log file watcher and auto indent. Viewer allows you to display current file in Hex mode. The HTML Toolbar allows you to insert common HTML tags quickly and easily. The cliptext window is collection of text clips for quick and easy access.